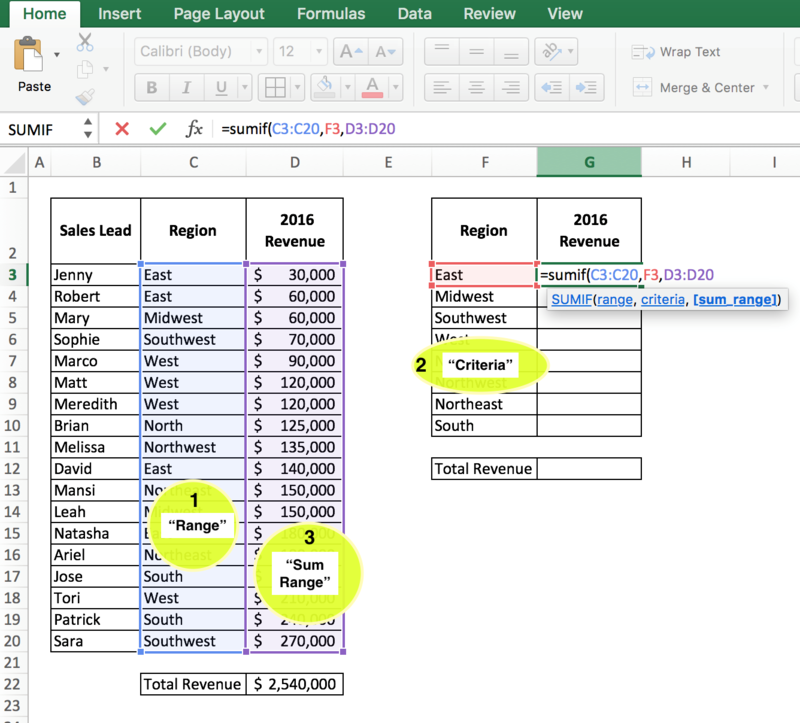 Excel is a powerful tool that allows users to quickly manipulate and analyze key data – yet it’s not unusual for finance and accounting teams to get hung up on practical functions in creating reports and summaries. In this quick tip, we will walk you through five easy steps (with illustrations) to help you summarize sales data. While this functionality can be applied to different scenarios, our goal in this example is to arrive at a report that summarizes Revenue by Sales Lead and Region. 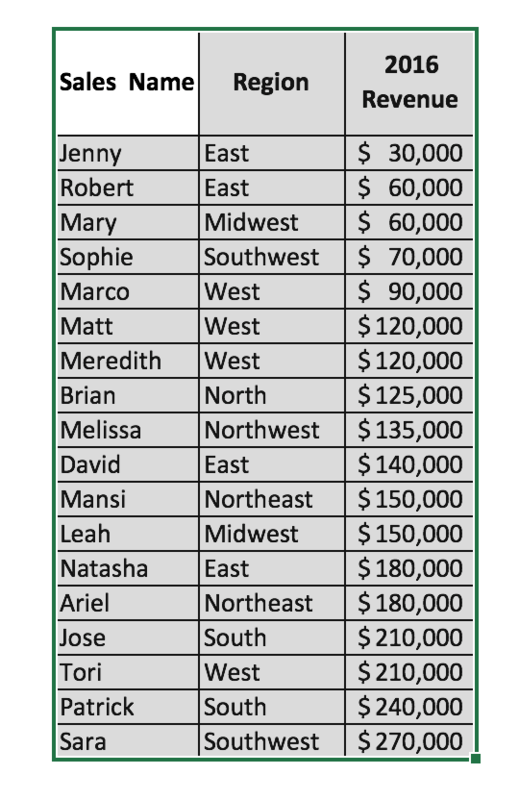 To start, here’s a look at a list of sales leads, each associated with region and revenue for 2016. Step 1. First, we’ll need to identify the unique regions. To do this, copy and paste the Region column (from above) into a new tab; then highlight the Region column from that newly created tab. Step 2. Still in your new tab, click on the Data tab in your top toolbar, as shown below. 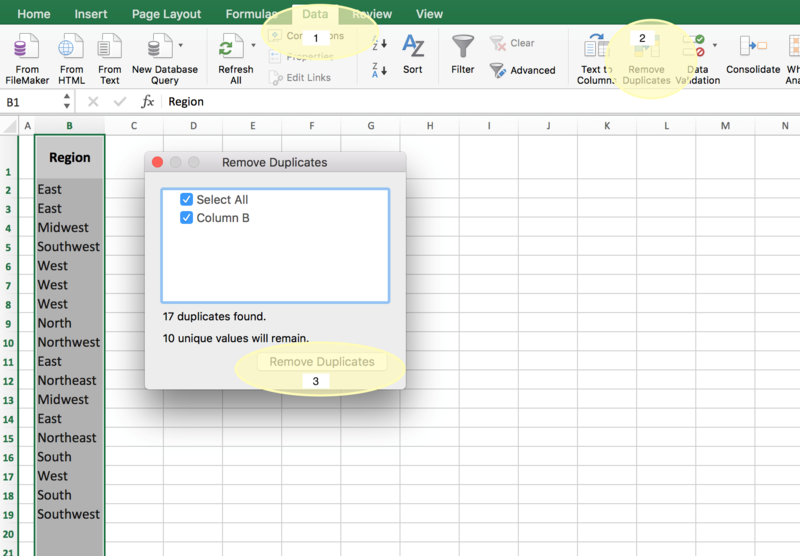 Then select Remove Duplicates. 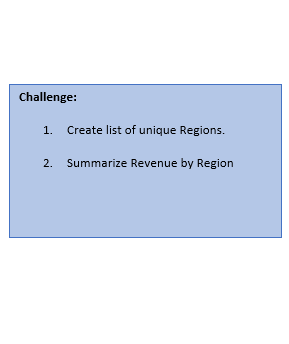 Step 3: Now that your Regions are collapsed into distinct categories, you can use the sumif function to calculate revenue by region for your desired summary table. Start by entering =sumif( into the top formula bar, as shown below. The required syntax will pop up (Range, Criteria, Sum Range). In the formula cells, select your “Range.” This will include the Region column from the original data set. Next select the “Criteria.” This will include the Region row from your newly created summary table. Finally, select the “Sum Range.” This will include the Revenue column in the original data set. Step 4: Once you’ve selected the criteria required by the formula in Step 3, simply close your parenthesis to complete the formula. 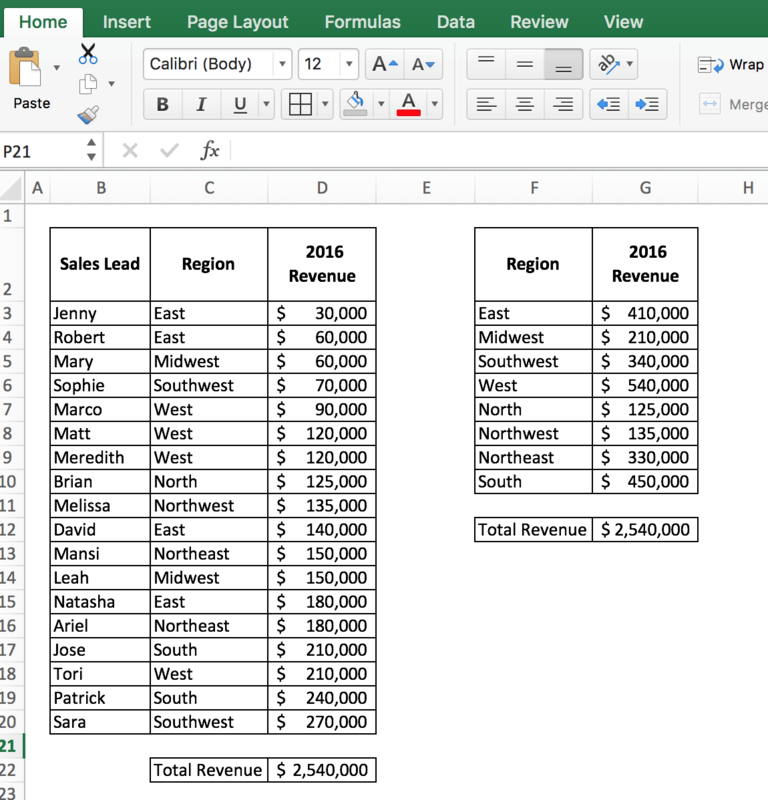 The formula will now summarize your revenue by your distinct regions. Step 5. 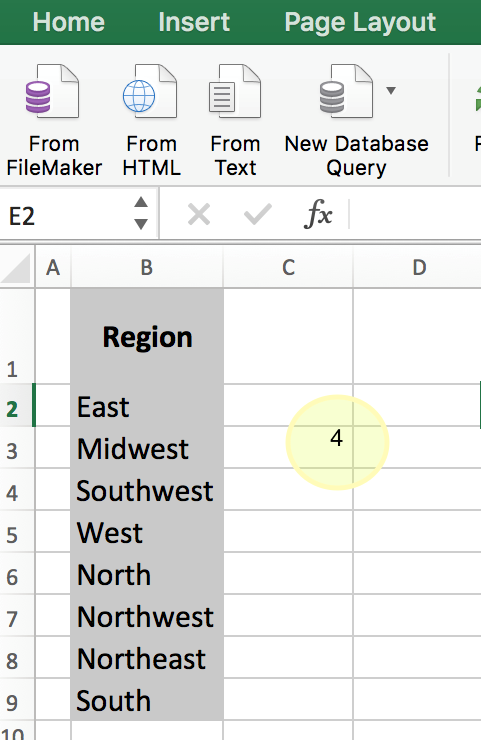 Repeat Steps 3 and 4 to create formulas for your remaining regions – then you are done! Keep in mind, 8020 Consulting can help you leverage more advanced capabilities in Excel that can make an immediate impact on your organization. Do you have questions about Accounting or other complex financial matters? Just click below to connect with an expert.